This article shall give you a clear guide in choosing the best universities that will accept you if you chose them as 2nd/second choice. Please note that not all universities accept second choice candidate, while some will even allow you purchase and sit for their post utme screening exercise but when it’s time for admission they will sideline all second choice candidate. As the 2019/2020 jamb registration and post utme screening exercise commences we thought it wise to give you a comprehensive list of all universities (federal + states + private) that accept 2nd/ second choice candidate for admission. We recommend this list to you and don’t forget to share this information with your friends on Facebook and Twitter, don’t allow them to go and purchase a post utme screening form from a school that won’t offer them admission. 2 List of State Universities for Second Choice 2019/2020 . 3 List of Private Universities 2019/2020 . 4 Nigerian Universities that DO NOT Accept Second Choice in JAMB 2019/2020 . Which Universities Can be Selected as Second Choice? 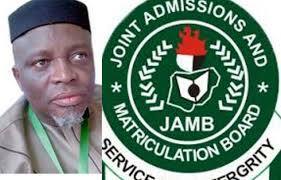 : Jamb recently reversed its decision which bared candidates from choosing any university as a second choice, their reason for the ban was that most universities are only concerned about the funds they will raise through the sale of post utme screening form while leaving second choice candidate in the cold when the time for admission comes. But after a careful observation and consultation they had to allow some few selected instructions to be selected as a second choice..
so be rest assured that this institution will accept you as a second choice candidate. in fact your chances are very high in this universities as they don’t discriminate against first choice or second choice candidate. List of State Universities for Second Choice 2019/2020 . List of Private Universities 2019/2020 . not all private universities will smile at you and allow you to be admitted when chosen as an option / second choice. although most private universities don’t discriminate as they offer an equal playing ground to candidates irrespective of their choice. Nigerian Universities that DO NOT Accept Second Choice in JAMB 2019/2020 . below are list of Federal government universities that won’t consider you for admission when chosen as an option. the following universities i listed below have made themselves clear. on no account must you buy their forms when didn’t make them your preferred institution when registration your Jamb form. any candidate that buy their post utme screening form or chose them as their second choice have him or her self to blame. from the above list all first generation Federal Universities won’t offer you admission when chosen as second choice as they already have thousands of candidates who chose them as first choice. mostly all newly established universities won’t discriminate against you if you chose them as Second choice as they still have less competition space available to absorb candidates. most states universities are now acting like the old generation set of universities because of the large crowd of candidates that turn up for their screening exercise from their state and other states. if you you have any question to ask about or you feel that this list we provide is not accurate or we omitted a university you know from the list, don’t feel shy, just use the comment box below and pass your message across to us. Did maritime academy Oron accept second choice. Did kano state university of science and technology accept second choice?